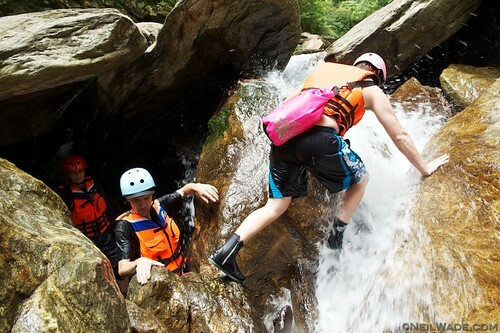 River tracing (aka canyoning), is a combination of hiking, swimming and rock climbing. More simply described, it’s walking up a river in the river. 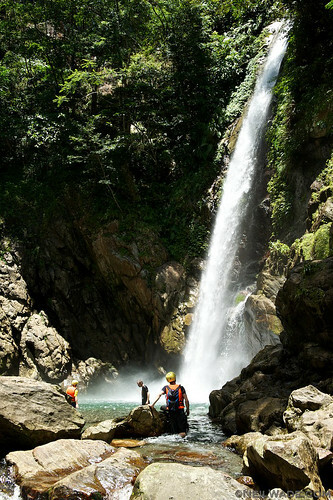 It combines adventure, exercise, fun, and exploration. 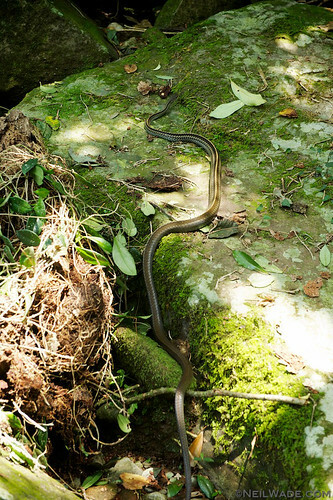 On recent river traces, we’ve seen fish, snakes, birds, frogs, prawns, and even monkeys. 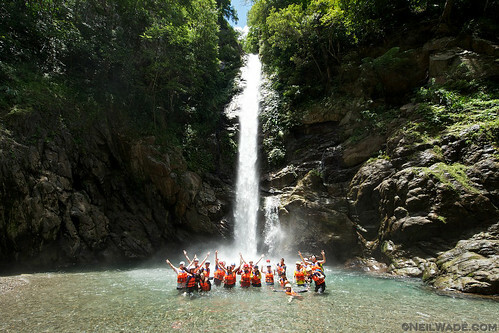 Have a look at the pictures, and join us some time at Taiwan Adventures (or on facebook). 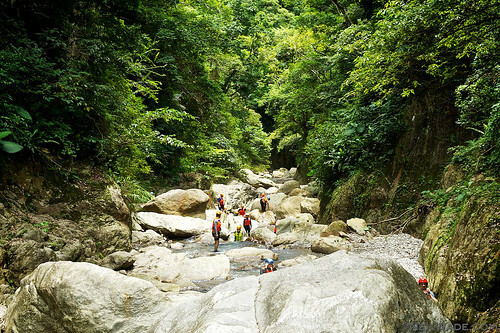 River tracing near Nanao, in Northern Taiwan. 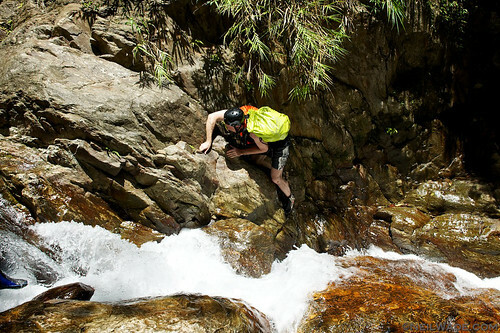 River tracing usually involves a bit of rock climbing. 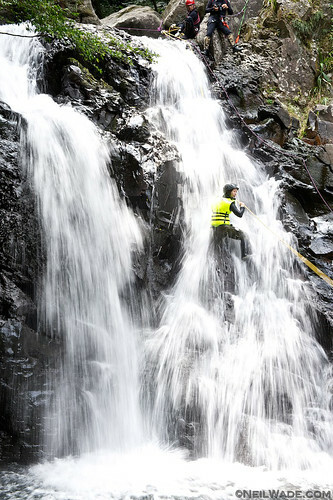 A river tracer takes the hard way up a waterfall. River tracing can be a confidence builder. Many people start the trace a bit scared and unconfident, but find that they can do things they never thought possible by the end. 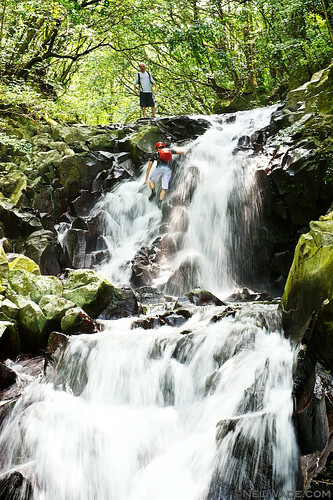 One of the benefits of river tracing is finding rarely seen waterfalls in remote areas. 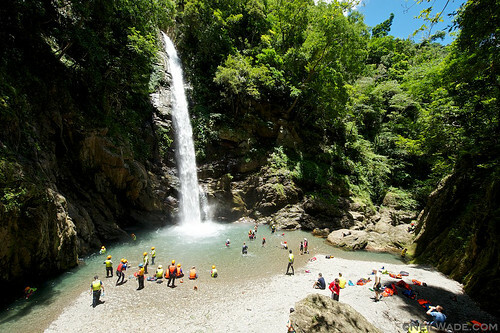 The cool water is really refreshing on those hot Taiwan summer days. Lots of nature can be seen on a river trace. Usually just frogs, fish, birds and flowers, but sometimes bigger animals like this big eyed rat snake. Not as difficult as it looks, special river tracing shoes make climbs like this easy. 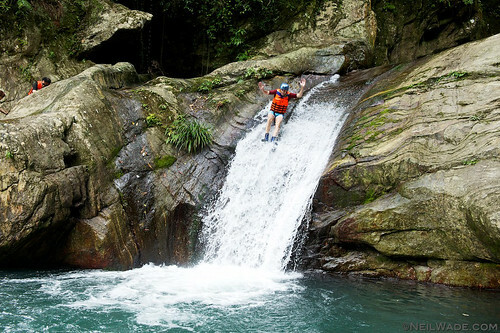 As adventurous or relaxing as you want it to be, a river trace can be a casual stroll through an easy stream or an adrenaline pumping climb up a waterfall! What river tracing is all about in the end: Fun with your friends! Enjoying nature and having fun with your friends is what it’s all about. 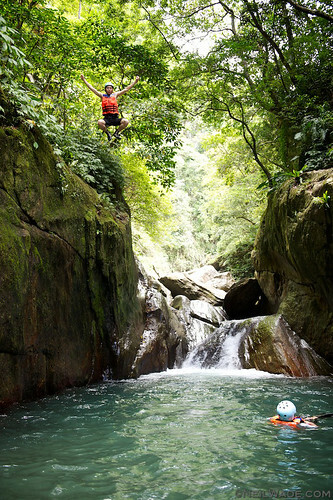 Join Taiwan Adventures for a river trace soon! 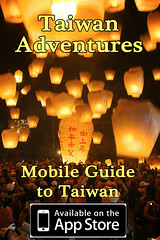 You can check the website at Taiwan Adventures, or join the facebook group hiking page. 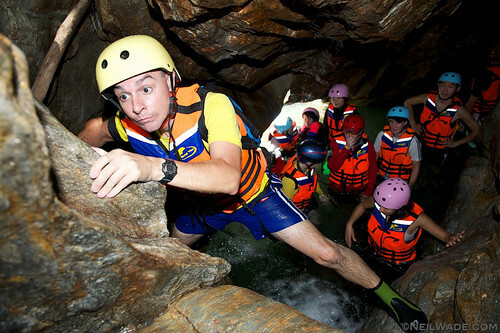 Wow, that looks like heaps of fun. Beautiful country.